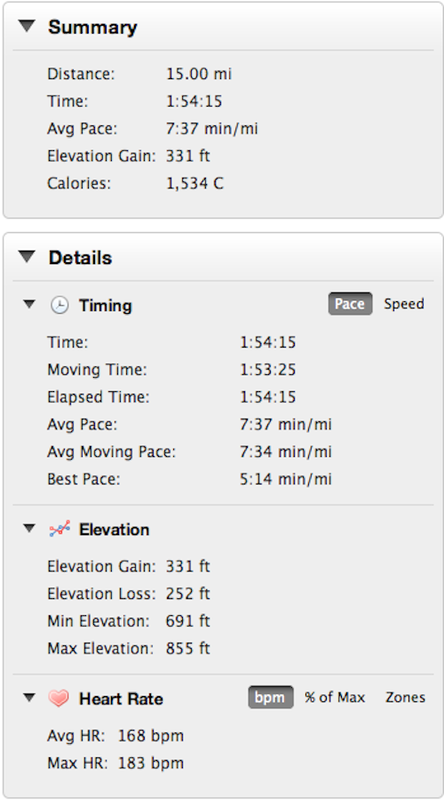 Workout: 15 miles @ 7:38 pace. Weather: 68 degrees, cloudy, wet. Recap: Eek. So that’s what marathon training is like? Good grief. Would have hated to go another 11.2 miles. Had a long, long debate with myself (yep, you read right) about whether to seek a more aggressive time goal for the next few weeks. Eventually, caution won out, and I decided to back my goal down to 18:03 because I will be training at unfamiliar distances. Results can come with time. In any case, by setting conservative goals there’s always a chance to surprise myself. Just as long as I get better, right? Ok. I also weighed the pros and cons of going by heart rate versus running the suggested SmartCoach paces. My experience with heart rate for whatever reason is that my times get progressively slower not only during each individual run, but over several runs as well. Also, the advice that I’m reading from Greg McMillan, Dean Hebert, and Alberto Salazar suggests that tailing too far off from your race goal paces can be a bad thing long term. 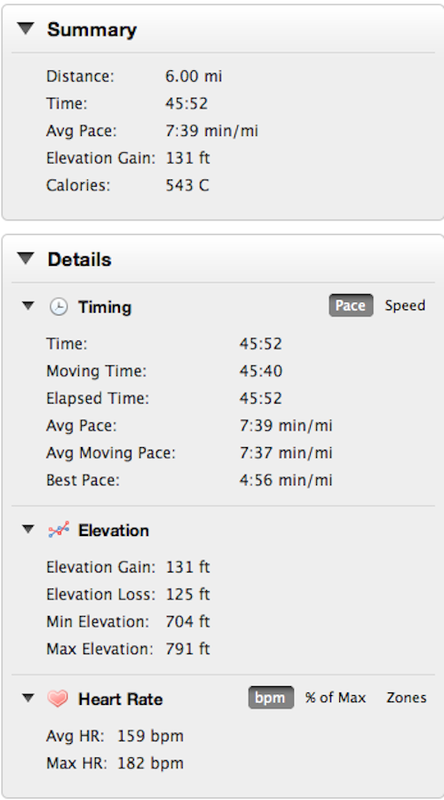 In short, I just didn’t trust heart rate as an effective gauge, especially when I can measure pace. 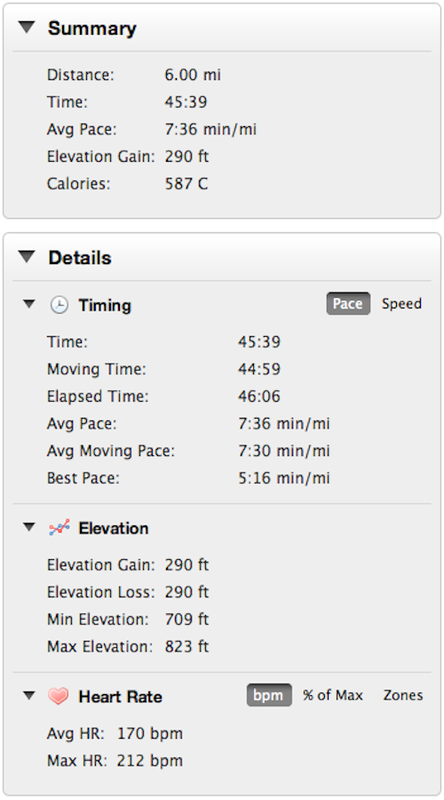 For today’s long run, the plan was to break the run down into 2 out-and-backs (an 8-miler and a 7-miler). I thought mentally that would take my mind off the distance. Also, for mental assistance, I changed the Garmin settings to reflect only pace and distance remaining as opposed to heart rate and time. I didn’t want to know how hard I was working or how much time I’d spent outside. I just needed to know if I was on pace and when to turn around. After starting out, I was very happy that Mr. Conservative won out last night because the pace was just challenging enough. 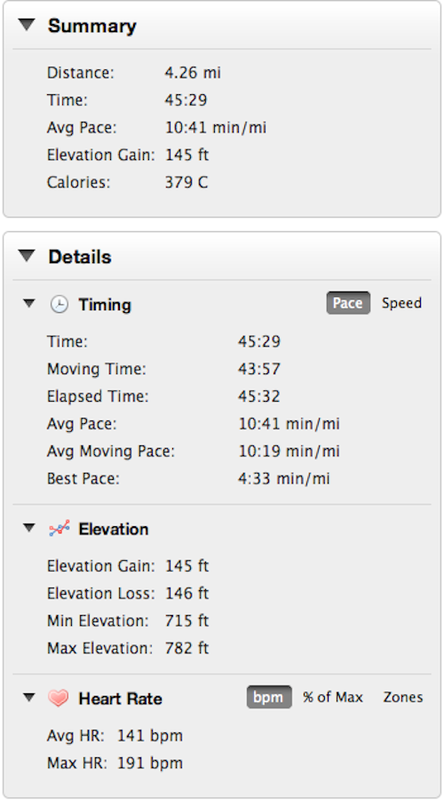 The opening 3 miles were pretty easy, and I was almost sure this run would be a cakewalk. I swung back through my apartment complex to get some water at the 8-mile mark (never stopping the watch) and continued on. After heading back out again from the apartment the run got a little rough. I didn’t stop my watch at any point, so I had to speed up to make up the time when I stopped. This happened when I stopped for water and when I ran into a stop light in the second half of the run as well. What really helped today was some advice I’d read in a Jeff Galloway book at the bookstore yesterday. I think the book was called 5K/10K training. Galloway said not to lift the knees when you run because it puts strain on the quadriceps and tires them out quickly. Before reading his advice, I’m pretty that lifting the knees is something I did pretty regularly. But since Galloway is the man, I tried it out and it made the stride a lot smoother. I could feel the hips doing the work, especially as I started to tire around mile 12. 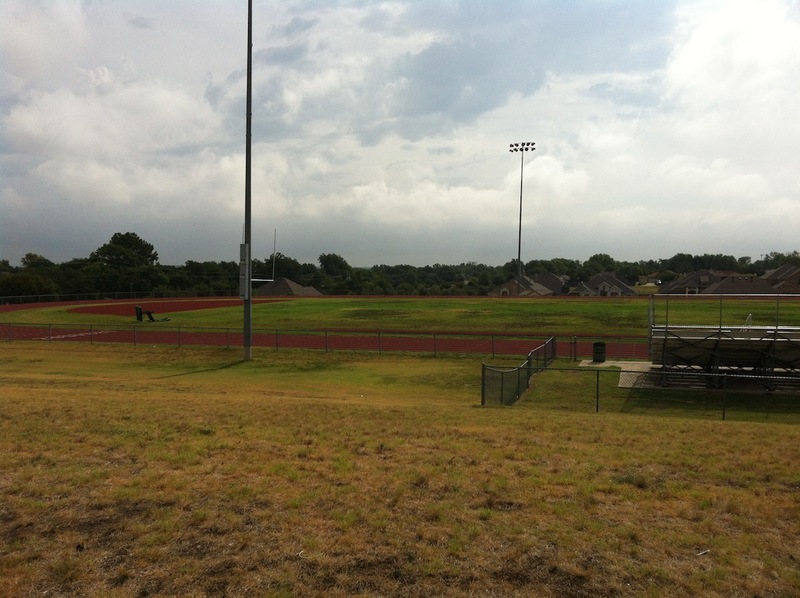 The stride felt a lot smoother and the impact with the ground wasn’t as hard. 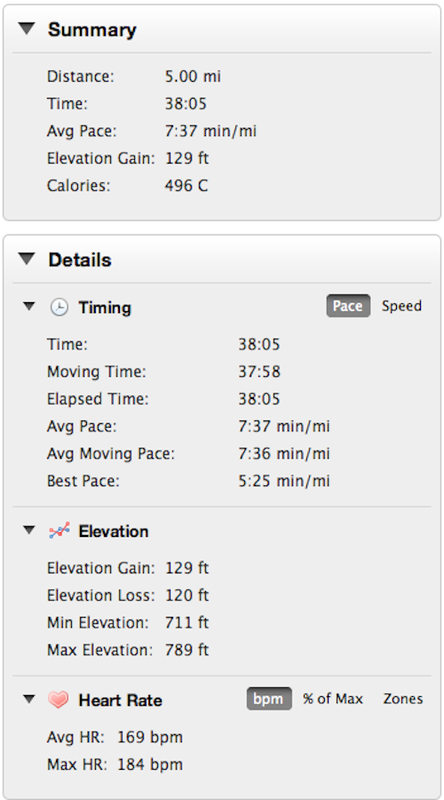 Surprisingly, the end of the long run simulates how hard it feels at the end of a 5K pretty well, without the speed. 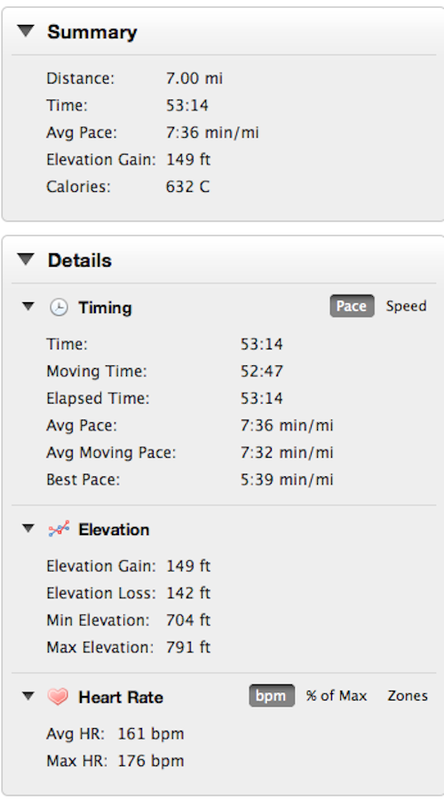 Plus, I think I’m going to enjoy doing the shorter 7 and 3 milers next week while thanking God that they aren’t 15. Exciting. Always fun to try something new. Time to knock off this carb-protein drink and take the rest of the day off. Tomorrow too – for that matter.